Correia de Guitarra RightOn Stripes-F Brown. Cor: Brown. Stripes guitar and bass strap has a relaxed style, if you aren't looking the smart style of the leather, and you want something leisurely, this Stripes Brown is your strap. Oh, these three colors again, but now looks more casual. 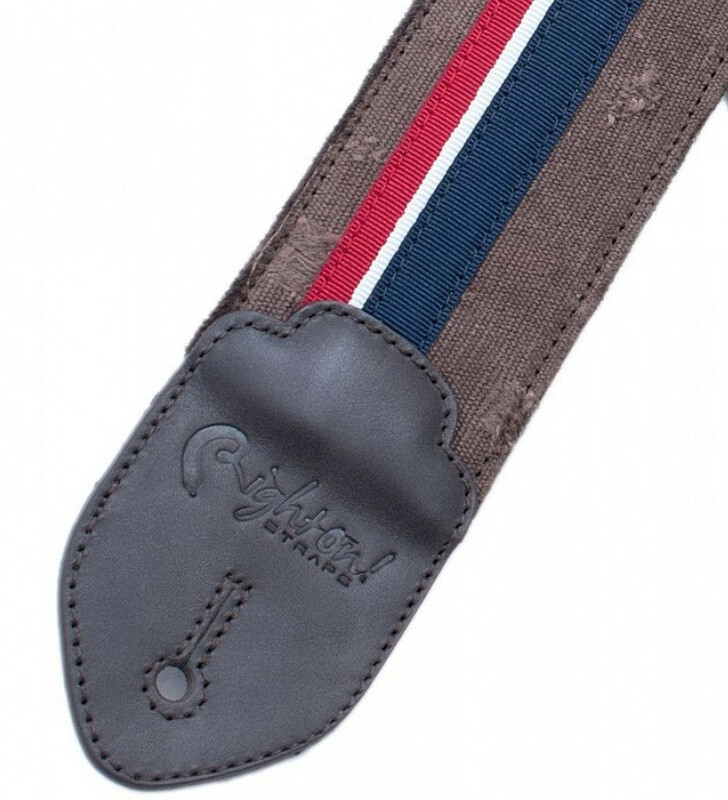 This Stripes guitar and bass strap has a relaxed style, if you aren't looking the smart style of the leather, and you want something leisurely, this Stripes Brown is your strap. The Stripes strap, for its color combination, looks great with any guitar or bass shade. 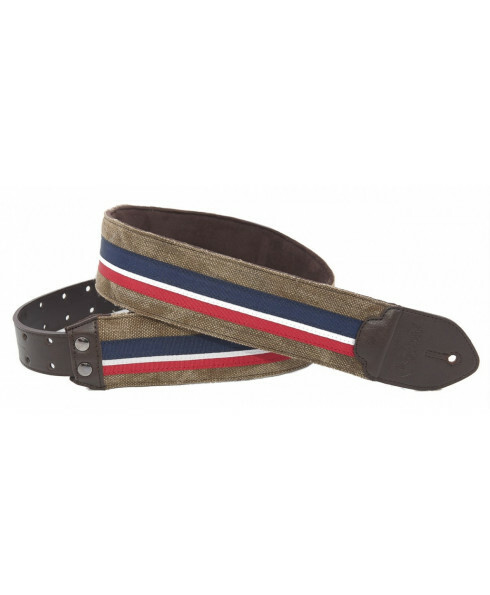 The surface of this strap is made of destroyed jeans fabric, ornamented with a stripe of canvas. 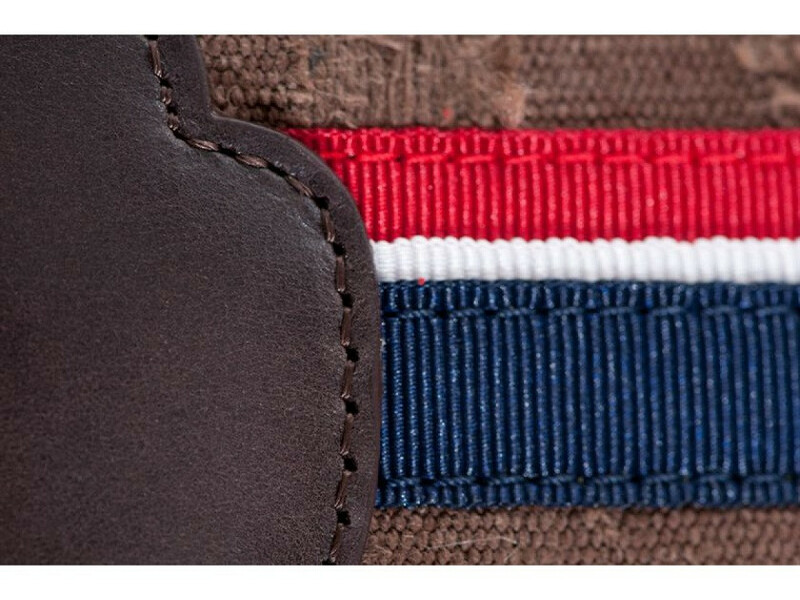 The end tabs are made of leather, for more strongness and durability. The lining is made of microfiber, that allows moisture to dissipate, keeping you and your clothes well. And for the softness is the padding, 5mm thick high density latex, covered by two layers of lycra... so squishy!. 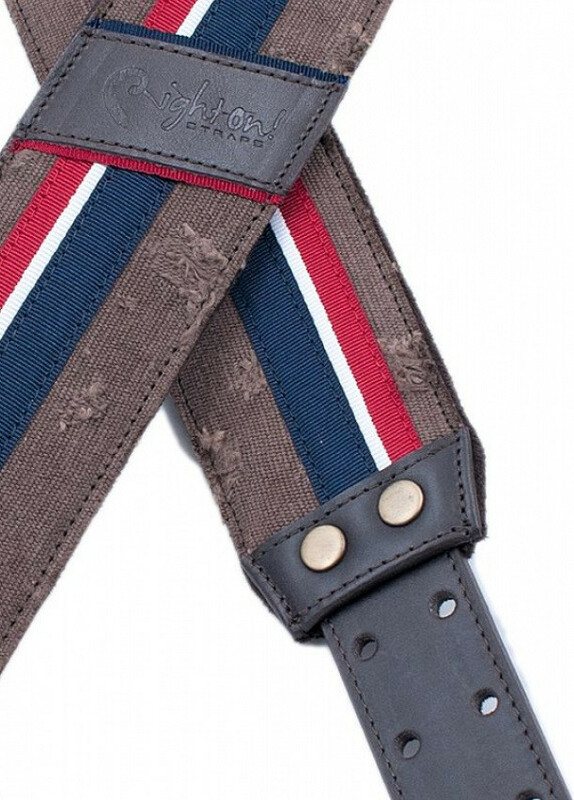 The Stripes Brown strap is 6cm wide, and has an adjustable lenght from 95cm to 150cm with the exclusive RAS adjustment system which lets you adjust the strap in a stylish and practical way. 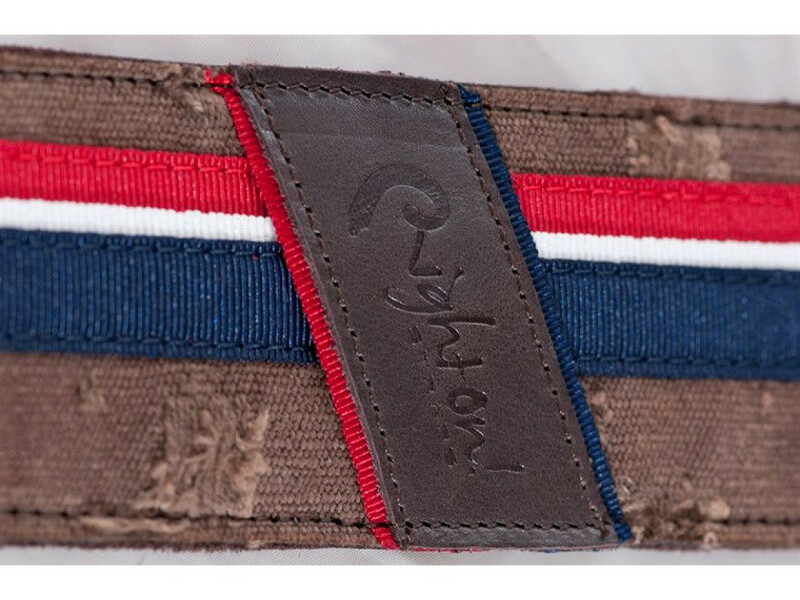 One plus, look our new pickholder integrated in the back tab of the strap. The picks remains in the holes firmly. Exclusive RightOn Adjustment System (RAS) that lets you adjust the strap in a easy and practical way, featuring the longest adjustment range in the market. RAS system could be external or internal depending on the style. Internal Pick holder located on the back of the strap near tip. Ideal for storing a handful of plectrums, allows quick and easy access to them. Pick Holder located in the tail of the strap. They are 3 simple cuts to introduce the plectrums, allowing faster and more intuitive access to them.